While we were in Mexico (that post HERE) we went on a double excursion to Tulum and Xel-Há (pr. shell ha). The excursion cost around $100 and was completely worth it. We took a bus first thing in the morning to Tulum, which took approximately one hour from our resort in Cancún. Our guide was great and made the trip go buy so much faster by explaining Mayan culture and Mexican history the whole ride. We also had the opportunity to order a handcrafted Mayan calendar portraying our name and birth date in Mayan hieroglyphs, mine is below. Tulum is a preserved ancient Mayan village. I had wanted to visit Chichén Itzá, a Mayan pyramid classified as one of the New Seven Wonders of the World. It would have been a much longer bus ride and my friend wasn’t interested, so we compromised on this excursion. In retrospect I would have gone alone as I would still love to see the pyramid. When we arrived at the site we had to take a tractor wagon out to the village. Due to the high rainfall during that time of year the road had been completely flooded and looked like we were driving through a river. Unfortunately it rained that day, although I think it adds to the atmosphere of the photographs. The village is completely closed off, by two walls, a forest and cliffs. This stone wall is one of the two entrances into the village. The architecture was incredible to see and unbelievable that it has sustained all these years. Iguanas: the current residents of the village. These are the cliffs bordering the village. It is no easy feet getting down to the beach. It also served as a trading post when the village was occupied. The forest which borders the fourth edge of the village. The majority of the day was spent at Xel-Há, a natural water park. There are plenty of things to do there including taking a tube ride through the mangroves, which was a lot of fun, kind of like the lazy river, only much more beautiful. 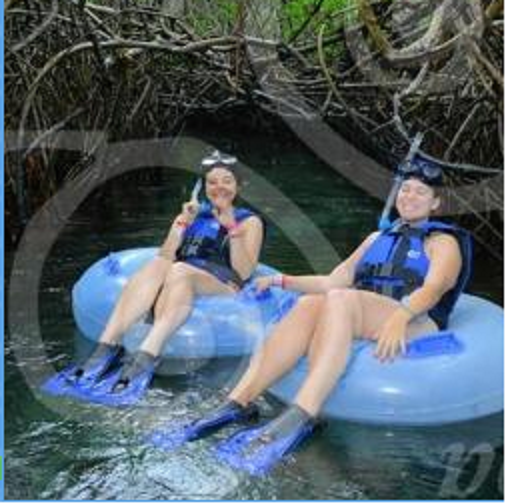 We were given snorkels and swimming goggles in order to see some of the water life. Due to the rainfall the water was very foggy and I didn’t see much other than a few fish, although a friend of mine who went said she saw plenty of wildlife. 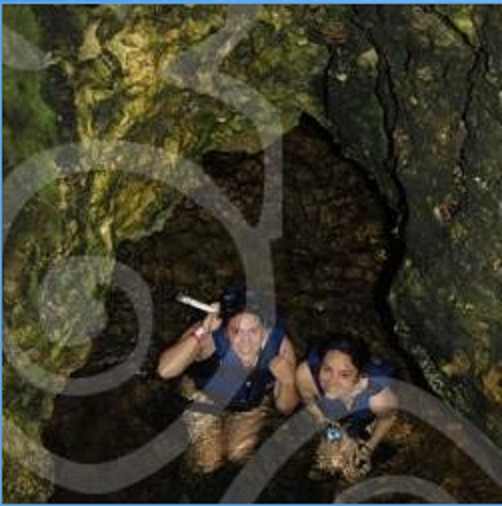 One of my favourite parts of the excursion were the cenotes (underwater caves). They were beautiful inside. I would love to go back and take an entire day to go see some of the bigger cenotes in South America. These are nothing compared to what you can see with a simple internet image search. 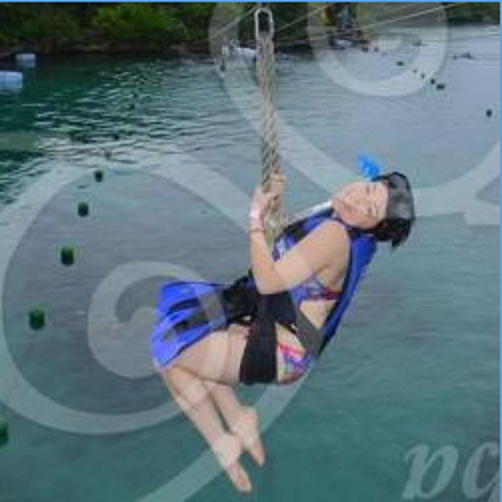 There are also a few zip lines which you jump off into the water which are always a lot of fun. There are photographers all over the park taking pictures which are printed off for purchase later, or you can purchase them off their website.